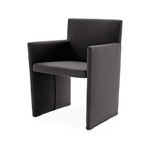 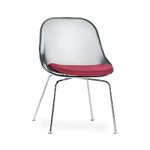 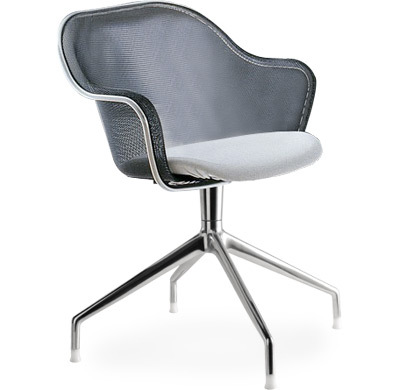 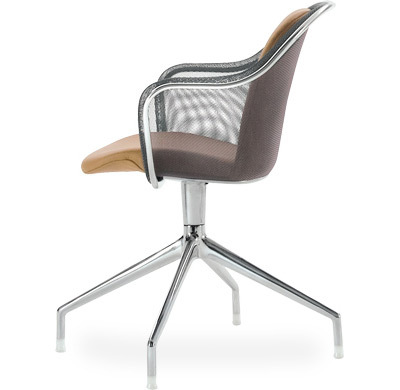 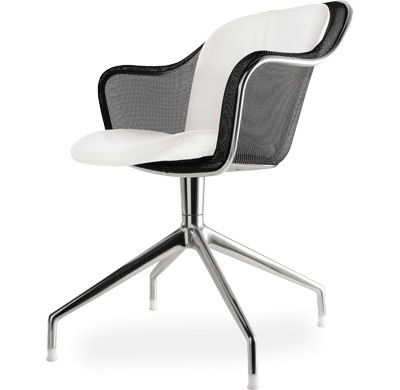 Iuta swivel arm chair features a bright chromed tubular steel frame with grey-colored metallic net. 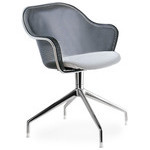 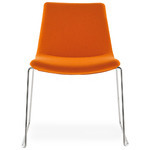 It is available with an upholstered seat only or seat & back covered in your choice of upholstery. 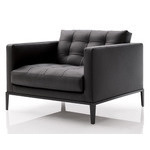 $2,536.00 + free shipping in the continental U.S.